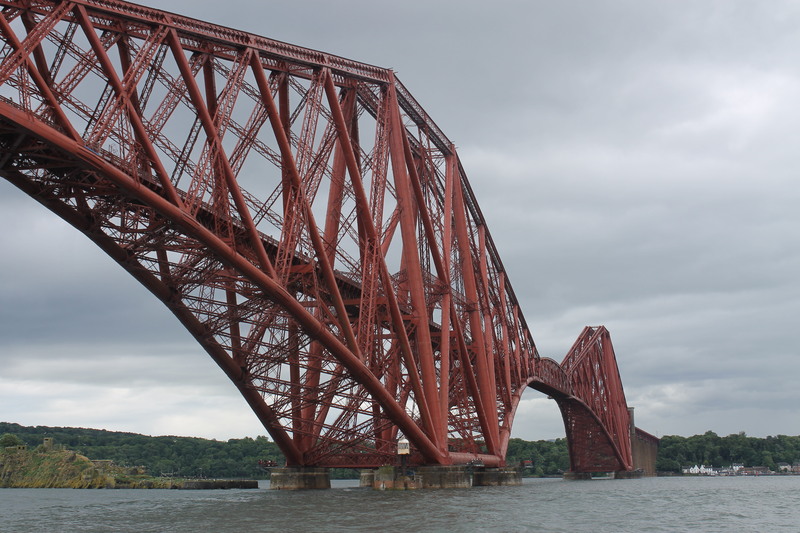 On Sunday we had a slightly later start and reached South Queensferry a little early for the Forth Belle boat tour of the Forth. While we waited we enjoyed the views of the Forth Rail Bridge and spotted the lighthouse that sits alongside the base of one of the bridge pillars. We also paid a visit to the RNLI shop and enquired about a lighthouse-looking building just outside their door. 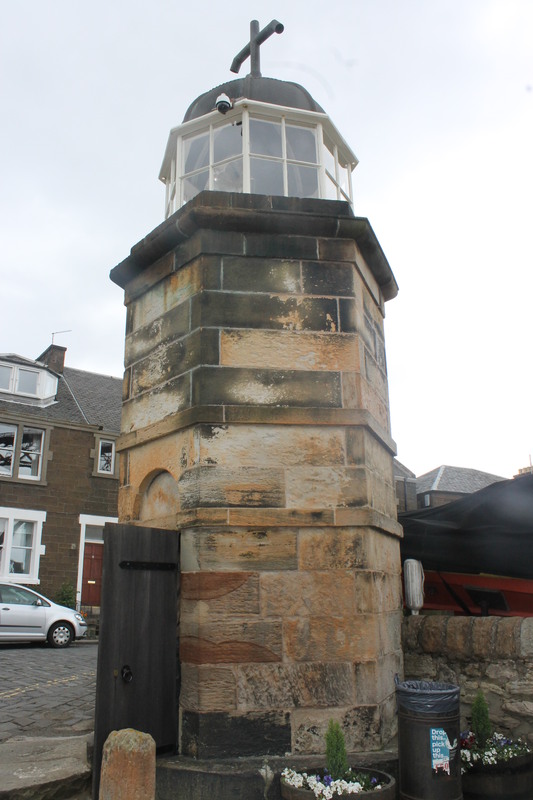 We were informed that it was a former lighthouse and that there was a similar one of the north side of the Forth at North Queensferry, which was being better maintained. It was a shame that they weren’t making more of the old lighthouse, particularly as the pier is a popular area with those on boat tours visiting on a daily basis. 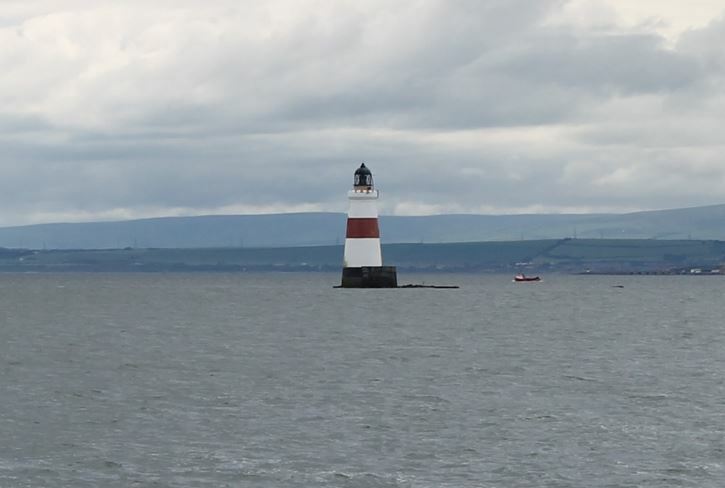 We also asked about the situation with the old Beamer Rock lighthouse. The lighthouse had previously sat on a rock in the middle of the Forth, but had been dismantled a couple of years ago to make way for one of the pillars of the new Forth Road Bridge being built. It was sad to learn that it had been removed, but I’d previously read an article about North and South Queensferry arguing over who should house the lighthouse as an exhibit in the future (or should I say house the bridge museum that will probably include the lighthouse). While we were waiting for the boat to arrive I received an email informing me that Orfordness lighthouse was likely to slip into the sea within the coming months. The land it sits on is now so unstable that it was switched off and is now being left to drift away. I found this particularly sad as it is a real sign of how little people seem to care for lighthouses these days, even when they have been in operation for over 200 years. In many cases it is actually local communities that campaign for lighthouses to be saved. I was informed of one example of this over the weekend – the old lighthouse at Scoraig in the west of Scotland was was saved by the community when it due to be lifted by helicopter and dropped into the sea. I am not sure if there are any intentions within Orford to save the lighthouse there. During my month-long tour I missed the last boat out to Orford Ness to see the lighthouse by about 20 minutes so I have yet to visit this one. I plan to do exactly that as soon as possible though to ensure I get to see it before it is not longer there. Anyway, the boat arrived and we hopped on, poised to see some more lighthouses. The boat stopped at Inchcolm, a small island in the Forth with an old abbey which you could explore. We decided that we would jump off at the island, but before we even got there we sailed past Oxcars lighthouse, which sits in the middle of the Forth. We also spotted some seals laying around on buoys on the way to the island. All very exciting. When we first reached the island we considered attempting to reach the high point. We noticed the warning sign at the bottom of a set of steps informing us that it was nesting season and the birds may attack. We slowly made our way up the steps, but decided to turn around as the seagulls weren’t looking very happy with us. We plan to go back again outside of nesting season when we will be make it up there safely. We strolled over to the abbey and explored the rooms, tight spiral staircases and ruins before sitting down for lunch. It’s a great little island and I look forward to the revisit when we will be able to explore even more of it. Back on the boat we got a good look at the lighthouse under the Forth Rail Bridge as we sailed past. We continued along until we reached the original location of Beamer Rock before heading back. Since we had left the mainland the tide had come in and the wind had picked up a little. This was going to make it difficult for the boat to dock at the pier as the side it would usually use was almost entirely covered in water and the section that was still exposed was being a little battered by waves. After an attempt to dock on that side anyway we made our way around to the other side of the pier. That attempt was also unsuccessful so we tried again on the original side, still without success. On our forth attempt to dock we finally made it back to dry land (sort of – I was splashed by a wave just after we got back). 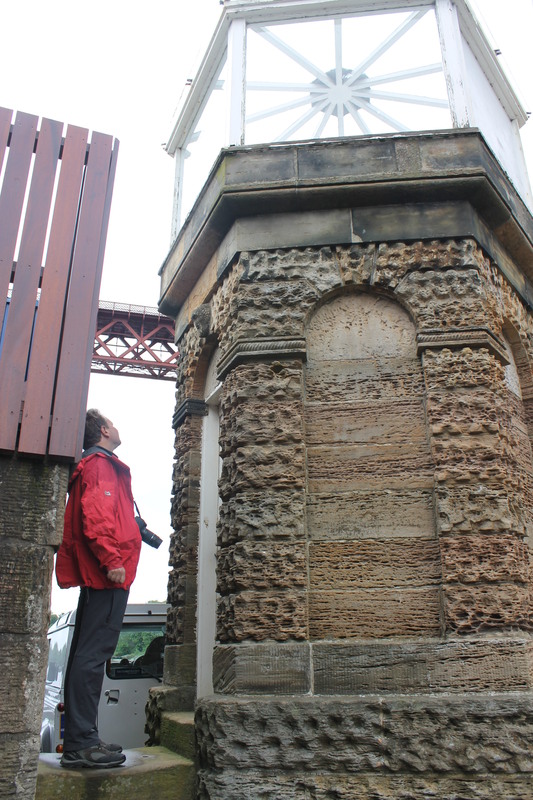 Our next priority was the cross the bridge and visit the old lighthouse in North Queensferry, which we’d been able to locate from the ferry. It was easy enough to find and I was privileged to be able to light the lamp myself and receive a certificate for doing so! the lighthouse and a small hut next door to it have now been turned into exhibitions and it was great to chat to the man who runs the proceedings there. A lovely experience and great to hear of a community keeping the lighthouse spirit alive!